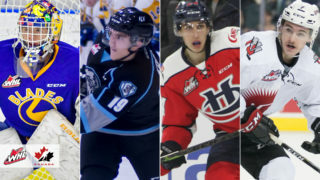 Lethbridge, AB – Hockey Canada announced Tuesday that four Lethbridge Hurricanes players – Stuart Skinner, Calen Addison, Dylan Cozens and Kirby Proctor – will take part in the upcoming men’s summer showcase in preparation for the World Junior Championships, the Under-18 Ivan Hlinka Memorial Cup and the World Under-17 Hockey Challenge. Headlining the list of Hurricanes invited to take part in the summer showcase is goaltender Stuart Skinner. The 18-year-old recently completed his third season with the Hurricanes and is one of just four netminders invited to take part in the U-20 camp. Skinner, who will likely be drafted this coming weekend at the National Hockey League Entry Draft, attended the Hockey Canada Program of Excellence goaltender camp earlier this month. The Edmonton, Alberta product posted a record of 34-18-3-2 this past season with a 3.26 goals against average (GAA) and a .905 save percentage (SV%). He also started all 20 of the Hurricanes post-season games registering a 3.09 GAA and a .916 SV% helping the Hurricanes to the Eastern Conference Championship Series. 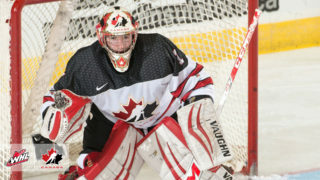 Skinner has represented Canada previously at both the U-17 and U-18 levels. 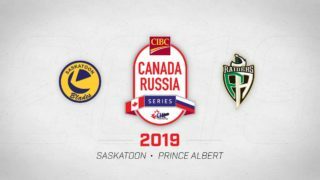 Calen Addison is the only Hurricanes player selected to take part in the Under-18 portion of the showcase in hopes of representing Canada at the Ivan Hlinka Memorial Cup in August. 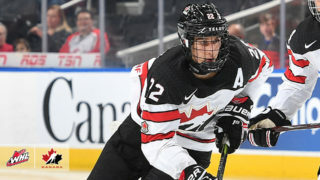 The 17-year-old rearguard completed his first season with the Hurricanes appearing in 63 games registering 33 points (9g-24a) with 52 penalty minutes and a plus-6 rating. Addison, who hails from Brandon, Manitoba, finished second in points among 16-year-old WHL skaters in 2016-2017. Addison attended the World Under-17 Hockey Challenge last season representing Canada-Black in Sault Ste. Marie, Ontario. In addition to Skinner and Addison, Hurricanes prospects Dylan Cozens and Kirby Proctor will take part in the Under-17 part of the showcase. Cozens, who was selected 19th overall by the Hurricanes in the 2016 WHL Bantam Draft had a terrific season registering 57 points (27g-30a) in 30 games with the Yale Hockey Academy. He also appeared in 15 games in 2016-2017 with the ‘Canes, 12 of those coming in the post-season. 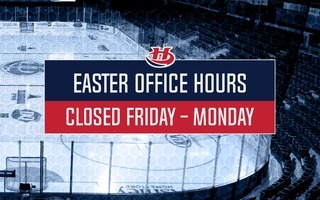 In his dozens playoff games, Cozens recorded eight points (3g-5a) and a plus-1 rating. Proctor meanwhile spent the 2016-2017 campaign with the Pursuit of Excellence Hockey Academy in the Okanagan. The 6’2”, 165-pound rearguard appeared in 30 games in the CSSHL with POE where he scored 13 points (5g-8a) along with 46 penalty minutes. Proctor, who was a third round selection (52nd overall) by the Hurricanes in 2016, also skated in 22 games with the POE 18U group where he added an additional seven points (2g-5a) with two penalty minutes.